On the Home screen, click on Play Store available in the dock at the bottom of the screen (as shown below). Type the app name you want to download in the search bar. Locate the Search bar at the top-right corner of the Home screen and type the name of the app you wish to install. Now, click on the search button with the blue magnifying glass icon. It will show you the app icon with the green colored "Install" button. Click on the "Install" button to install the app. 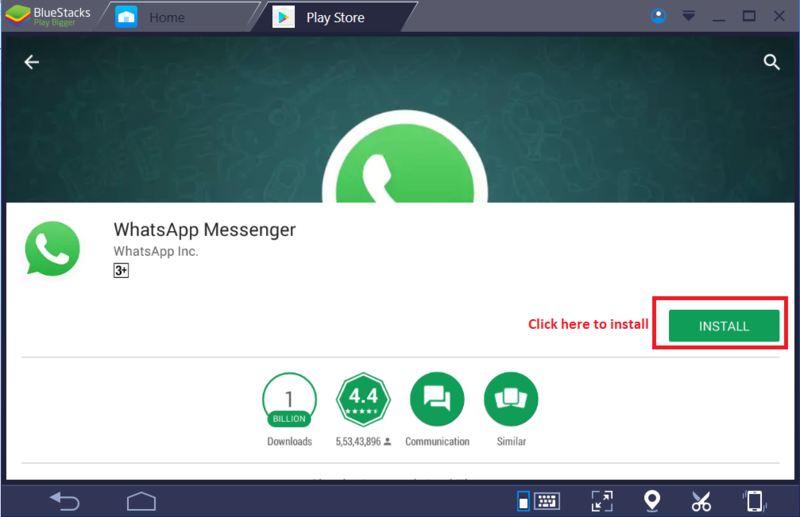 We have introduced an App Center in the dock of BlueStacks 4. Here you can find the recommended and trending apps. It also includes the apps categorized according to multiple genres. Please refer to the following image. Here you may download and install the app by simply clicking on the app icon. Please refer to the following image. There are a few other apps which are extremely useful and not available in all countries. Usually these apps are not even listed in the Google play store. These apps can be installed by their respective downloaded .apk files using below-mentioned methods. Click on “Install Apk” option on the top left on the “Home” screen denoted by three dots. To browse the .apk file on your PC, select the file and click on open to install it. Please refer to the below images. Below image displays the app being installed on the home app screen.